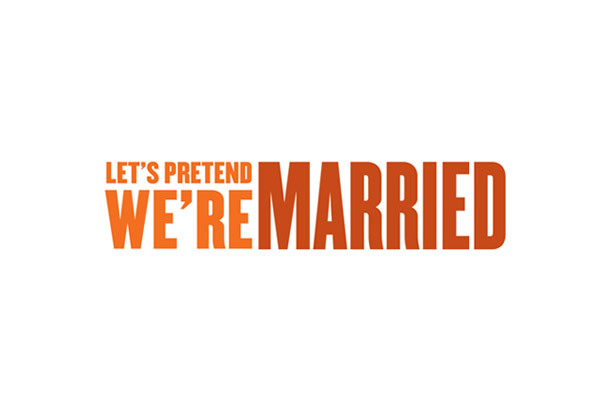 In Philadelphia, Pennsylvania a theater group (1812 Productions) is hosting a new production entitled Let’s Pretend We’re Married. Staring two renowned Philadelphia comedians, Tony Braithwaite and Jennifer Childs, the show promises a hilarious look at married life. Let’s Pretend We’re Married is a new cabaret about bliss of the wedded sort starring comedy masters Tony Braithwaite and Jennifer Childs. Let’s Pretend We’re Married features original material as well as classic cuts from Burns and Allen to The Bickersons, and is packed with songs of love (both the upright as well as the horizontal kind) by everyone from Irving Berlin to Prince. Couples will even have the option to renew their vows – as a part of the performance! Tony Braithwaite, newly ordained through the Universal Life Church online ministry, will officiate and Jen Childs will be flower-girl. A pre-emptive congratulations to all of the couples!